You too can have your uniquely crafted iHope shirt suitable for any casual occasion. This is one of the many ways you can support InspiredHope, to help touch the lives of those that are hurting and feelling like there is no hope. 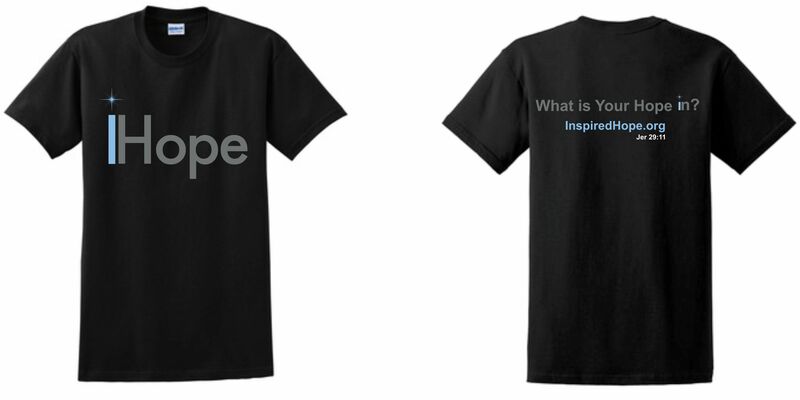 Give Hope today with a donation of $25.00 per shirt. This includes shipping and handling to any of the contiguous United States. One of the essentials you can easily use to encourage a new person in faith. 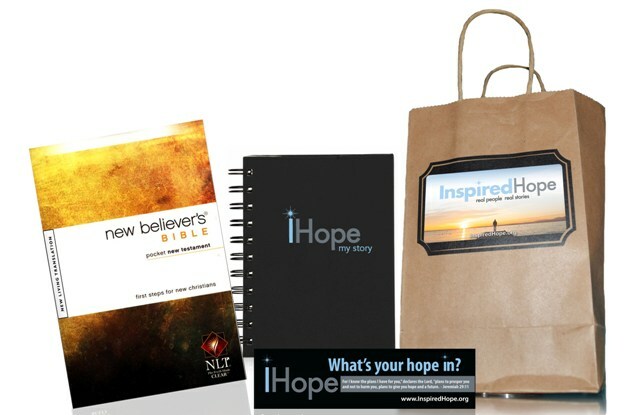 It’s prepackaged with New Believer’s Bible in a very easy to read format, a journal to track day to day experiences, an iHope Bookmark with a unique reminder, and more. This is a great gift for a new believer – not only to help them find life, but to find it more abundantly.